The Phoenix in a Gas House: Is Dancehall still Dancehall? After nearly three decades of chart dominance, there is no new musical genre waiting in the wings to dethrone dancehall, yet stakeholders are split on the meaning of its longevity. Some say the music continues because the society has not evolved since the '80s. Contrastingly, others say dancehall is no longer dancehall and should be retroactively classified as a new genre. "My son is 25, and dances to the same genre of music as me," quipped Dr Donna Hope, reggae lecturer, highlighting the generational span of the music. Never has any genre of Jamaican music kept local chart dominance and youth relevance for as long as dancehall. Indeed, all the genres of Jamaican music currently co-exist, but the trend prior to dancehall afforded some 10 years of dominance: Mento dominated the '50s, Ska the '60s, rocksteady late '60s early '70s and reggae '70s to '80s. Today, dancehall continues to be the driving force, yet one of its pioneers, Cleveland Brownie - of Steely and Clevie - argues that dancehall is no longer dancehall. He wants millennium dancehall classified under a new name. "I would love it if that happened, because it has changed so much from what I created as dancehall that it probably needs a change of name if it moves any further. But someone will have to name it." The only thing preventing a name change is that artistes still "consider themselves dancehall artistes". Brownie, who is also chairman of the Recording Industry Association of Jamaica, argues that his '80s King Jammy's creations were initially called reggae but reclassified as dancehall: "When we were doing what we did the artistes called themselves reggae deejays." But Dr Hope disagrees with Brownie on the retroactive labelling. "The themes are the same when compared with the dancehall that I was involved with in the '80s. It has not moved away from its central point of its creation. And some of the people who were dominant in the '90s are still around. 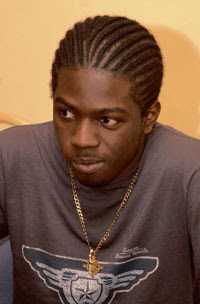 For instance, Bounty Killa is still a major player today which suggests it the same genre of music." The 1981 death of Bob Marley symbolically marked the end of the Reggae era and popularity of Yellow Man marked the rise of Dancehall era (even if deejays U-Roy and other Big Youth had stints of hits in the Rocksteady era). Hope argues that dancehall music will remain dominant unless the country transitions into a new societal epoch. "It says a lot about our society and suggest that our society has not been able over the last 25 years or so to go to the next level. We are still stuck in a mode and dancehall is a part of that dialogue," says Hope, who lectures at the University of the West Indies.Jamaica's GDP has not grown in real terms since the '80s and is now only second to Haiti trailing the region in UN human development indicies. Haiti's excuse is that it has been plagued by coups. "Since dancehall, it is three decades of the same political and economic system the promotion of money via capitalism and it may be linked to why dancehall is still dominant today," says French reggae scholar Jérémie Kroubo Dagnini who launched his book on the roots of Jamaican music on Tuesday in Kingston. Dagnini and Hope see mento as tied to post-colonialisation; ska to the independence movement; rocksteady to the search for identity; reggae to black consciousness and socialism; and dancehall to capitalism. But Ibo Cooper, reggae musician formerly of Third World, argues that dancehall is less tied to politics and more intertwined with our genes. "Dancehall is built on a West-African beat that is set in Jamaicans DNA. It came across with Atlantic slavery," argues Cooper, who is a senior lecturer in Edna Manley School of Music. "The success of dancehall is that it is party music. And so it has lasted a long time because the people want to have a good time. There was a lot of political strife in Kingston and dancehall represents the release." Reggae/dancehall producer Mikey Bennett downplays culture and highlights the cross-cultural mix which keeps dancehall current. "What we call dancehall is more inclusive of other genres . it is not as strict as reggae with the cheke-cheke! It borrows more from other genres it allows for more creativity," he says. "The youth culture do not distinguish so much with the beat, so anything that Mavado or Elephant Man or Beenie Man does is considered dancehall...If you strip a lot of the vocals from dancehall songs they could be called R&B songs or hip-hop songs or pop songs." Bennett doesn't see a new form of Jamaican music emerging until the vocal deliveries change. "Until the vocalist makes a new vocal style you really don't have a new genre of music," Bennett says. "The vocalist have the power to change the art form." Bennett was referring to hip-hop not ceding to a new genre. However, it has happened in Europe and the UK argues Chris Edmonds of RebelMix an internet music store, who cites UK jungle which evolved into drum and bass then garage to now dub-step with artistes like Benga Anger and grime ala Dizze Rascal. 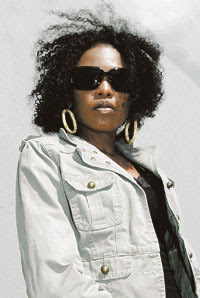 These genres, developed by Jamaicans in the UK, are a mix of electronica, dancehall and hip-hop. "It's funny because grime and that stuff is being done by West Indians but it will probably never come to Jamaica,"said Edmonds who admits that urban electonica is filtering into the dancehall via US hip-hop. Just think of Rampin' Shop, Vybz Kartel's and Spice's vocals are robotic and the rhythm is spacey, built by a Norwegiann duo, Stargate which licensed it to US R&B star Ne-Yo, which in turn was mixed by the Kartel camp. Edmonds cites Jamaican deejay Terry Lyn, Chino and brother Stephen McGregor as experimenters. In the US he cites underground hip-hop artistes such as Cuddy who are achieving mainstream success extending the boundaries of hip-hop which in turn will influence dancehall. "But as to whether we will call what is going on now another name remains to be seen," he says of dancehall.